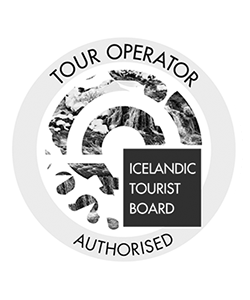 Join us for this Extraordinary Tour and Experience the Unmatched Nature of North Iceland and the South Coast! 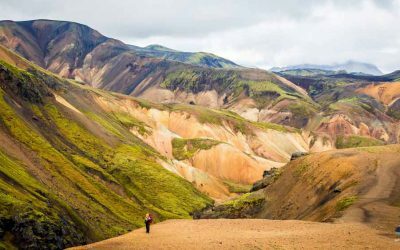 Take 5 days out on this all-encompassing tour, to explore both the North and South of beautiful Iceland! 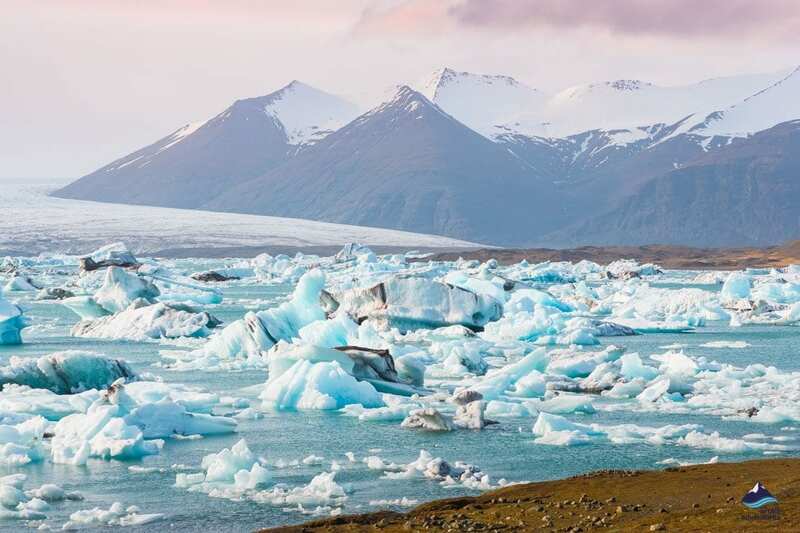 Take in the outstanding natural attractions of volcanic landscapes, glistening glacier lagoons, boiling geothermal springs, and captivating ice caves, passing some of the largest waterfalls in Europe on your way to the magical Vatnajökull Glacier. Visit some uniquely colorful villages; age-old turf houses and ancient churches, see national parks and to top it all off, we will go on a whale watching and sea angling adventure, try local craft beer on a visit to a microbrewery and should you want, take an optional soak in the warm geothermal waters of Myvatn Nature Baths. We will spend 3 days exploring the North of Iceland before spending 2 in the South. The first stop on the tour will be a refreshing, short and easy hike around the majestic volcanic crater, Grábrók, we will then drive off to a fjord to find Hvítserkur, a 15-meter (49 feet) high basalt stack that looks like a dragon or an elephant drinking from the water. After that, we will visit a famous local microbrewery for an hour of beer tasting and a guided tour. We will spend the night at Dalvik, and hopefully, find the Northern Lights! Day 2 will be spent in volcanoes, waterfalls, and geothermal baths (optional extra)! Taking in Godafoss Waterfall, Lake Mývatn, and the wildly enchanting Skútustaðagigar pseudo craters – dome-shaped mounds created by lava. Just minutes away is Dimmuborgir, a lava field loaded with lava rock sculptures, huge rock pillars, caves, caverns, tunnels, and lava bridges. Next on the tour is Viti Crater, – what’s left of a volcanic eruption, now filled with milky blue and green water surrounded by geothermal steam. After a few more activities, we will head back to the same hotel as the night before. Day 3 will include some whale watching, some sea fishing, and a barbeque. We will stop off at an authentic turf house on the way back and will arrive in Reykjavik in the evening, where we will stay for one night. The tour will depart Reykjavik and head towards the south of the country. We will spend 2 days in this region, taking in the sights and highlights along the south coast before taking you on a once in a lifetime adventure, inside a glistening magical ice cave. Making our way along the coast we will pass through farmlands and villages, before making our first stop at Seljalandsfoss Waterfall, the waterfall you can walk behind! 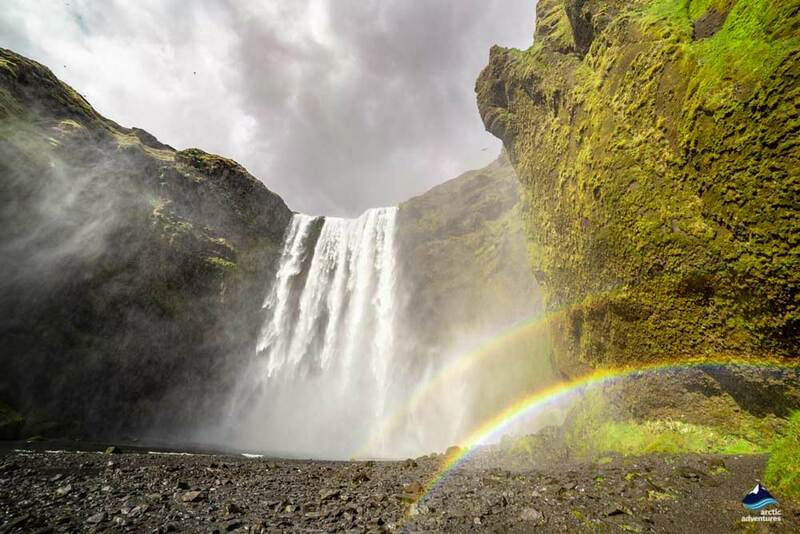 Next, is another waterfall – Skógafoss, one of the tallest waterfalls on the island! 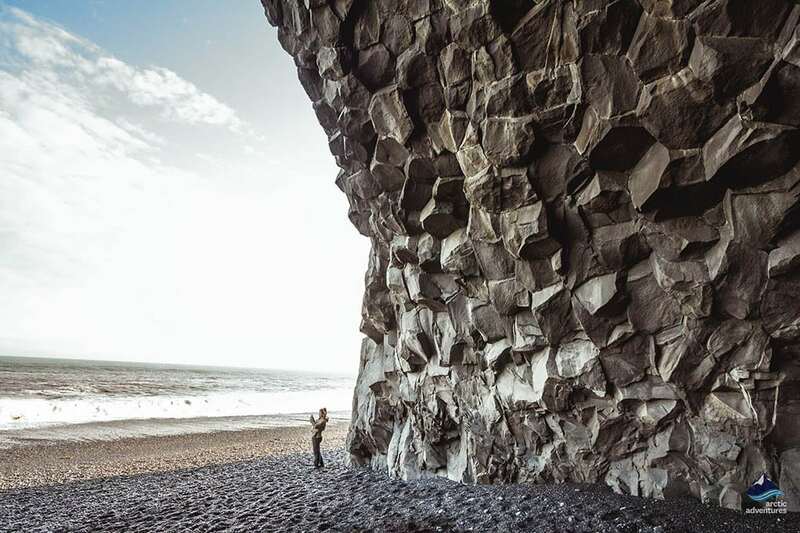 We will continue driving, heading on to the famous black sand beach of Reynisfjara, famed for dramatic basalt sea stacks rising in columns up the cliff face. The powerful Atlantic white waves contrast against the jet black grains of black sand. After the beach, we head to the village of Vik and then drive onwards through stunning lava fields and volcano mountain landscapes to Kirkjubæjarklaustur, a charming village. 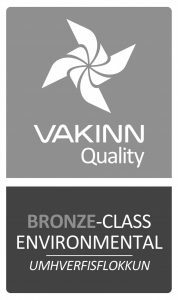 You will spend the night at a country hotel or guesthouse in the Skaftafell area, arriving early evening. If the forecast is promising, you should have the opportunity to catch the bright Northern Lights across the dark night sky. This is of course only possible during the northern lights season in winter. We start Day 5 ready to spend some time at Vatnajökull National Park and it’s glaciers. A favorite sight in Iceland is Jökulsárlón Glacier Lagoon, a lagoon literally full of gliding glaciers! Huge icebergs which were once part of the glacier, drift on the surface of the enormous lagoon as they make their way slowly towards the ocean. Many icebergs will ride ashore onto nearby Diamond beach, where they wait, glittering like diamonds on the black sand. 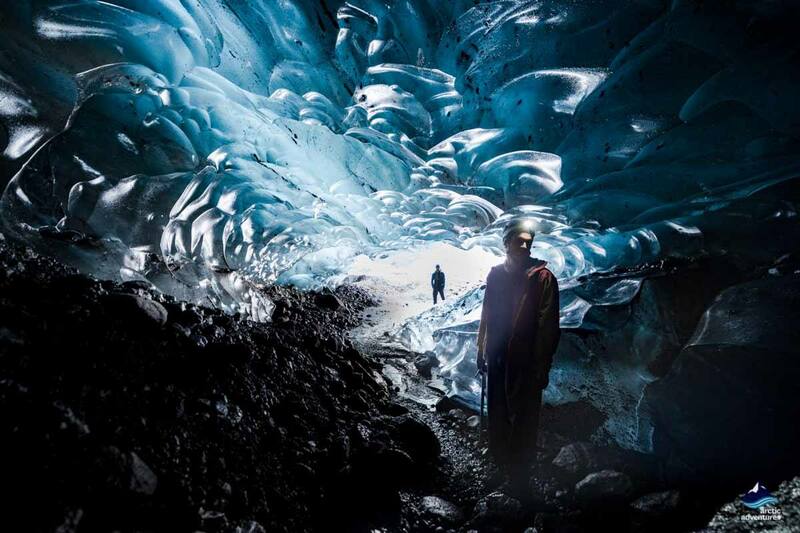 Next, you will be taken to a natural ice cave in Vatnajökull, the largest glacier in Europe. With light flooding through the blue ice, an ice cave is incredibly photogenic and like nothing you’ve seen before. Arrival in Reykjavík is expected around 19:00/ 7 pm. Pick-up is at 09:00 am from your hotel or a nearby meeting point in Reykjavík. Picking everyone up can take up to 30 minutes, your patience is much appreciated. On the first day we will pick you up for 09:00 am and head to the Ring Road where following an hour and a half long drive, the first activity of the day will begin with a fresh, short hike around Grábrók, a volcanic crater formed in a volcanic eruption almost three and a half thousand years ago, measuring 7 km in length and 66 feet in height. The hike will not take long and is fairly easy, but the view will be astounding! From there, we will jump back into the minibus and head into the direction of the ‘Troll of Northwest Iceland’ Hvítserkur. 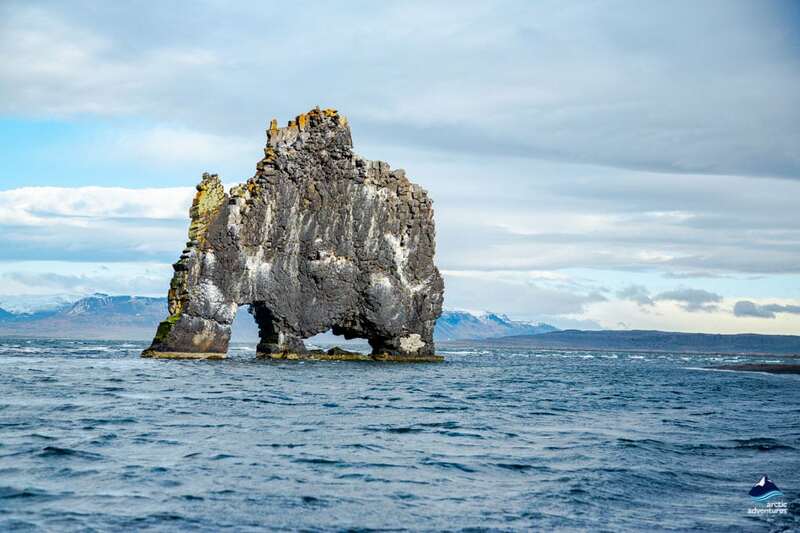 Hvítserkur is a basalt rock stack measuring 15 meters/ 50 feet high, naturally shaped like a Rhino emerging from the sea! From there, you can relax after your first day on the tour with a trip to the local Microbrewery. The hour-long beer tasting involves a supervised tour through the distillery where the owners will introduce some of Iceland’s best craft brews and demonstrate how it is made. From here, it is a short drive to Dalvík, a small fishing village where we will spend the night in a cozy hotel searching for the Northern Lights, should conditions allow. 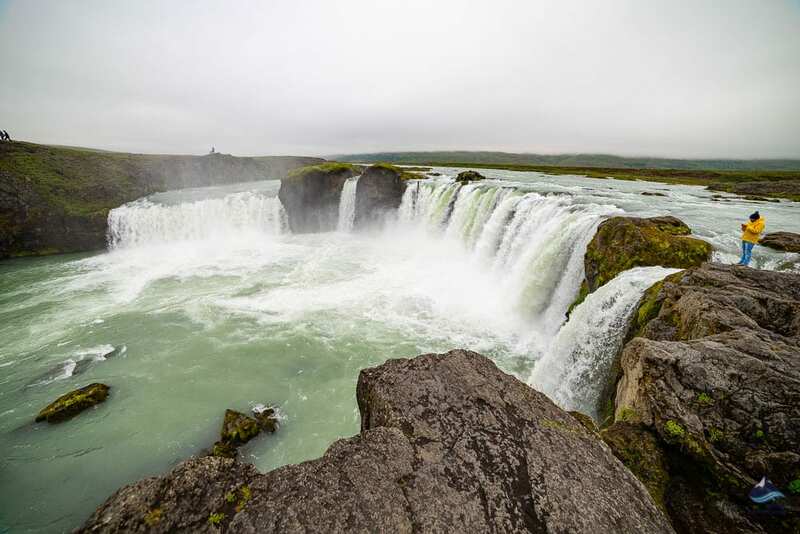 The second day will start with a drive to a stunning and historic waterfall, Goðafoss, the waterfall of the gods. Water plunges from a height of 12 meters (40 feet) over a width of 30 meters (100 feet) in one of a kind semi-circle layout. After a photo stop, we will take a short drive to the Lake Mývatn region, the fourth largest lake in Iceland. Tiny islands dot the breathtaking volcanic landscape, making this area one of Iceland’s most important preserved nature reserves. On our way around the lake, we will visit the Skútustaðagigar pseudo craters, often called rootless craters. These craters were formed almost 2,500 years ago, when new lava entered the lake and trapped the wet sediment below, resulting in steam eruptions. Today, the unusual craters are covered with grass and there are indicated hiking routes through the area. Just a few minutes from the craters is Dimmuborgir, a large area of fascinating lava fields, consisting of various caves and rock formations, made of lave sediment. This incredible site is loaded with massive lava rock sculptures, huge rock pillars, caverns, tunnels, and lava bridges, which is like something from another world. After exploring the mystical lava park, we will hit the road once again, to a scenic volcanic crater – Víti Crater. The 300-meter-wide crater was formed in the early 1700s when the Krafla Volcano suffered a huge eruption, lasting for five years. Today the crater is completely safe and filled with blue and green water, while the land around it is steaming with geothermal power. Talking of all things geothermal, next, up we will explore one of Iceland’s geothermal fields, Námaskarð. 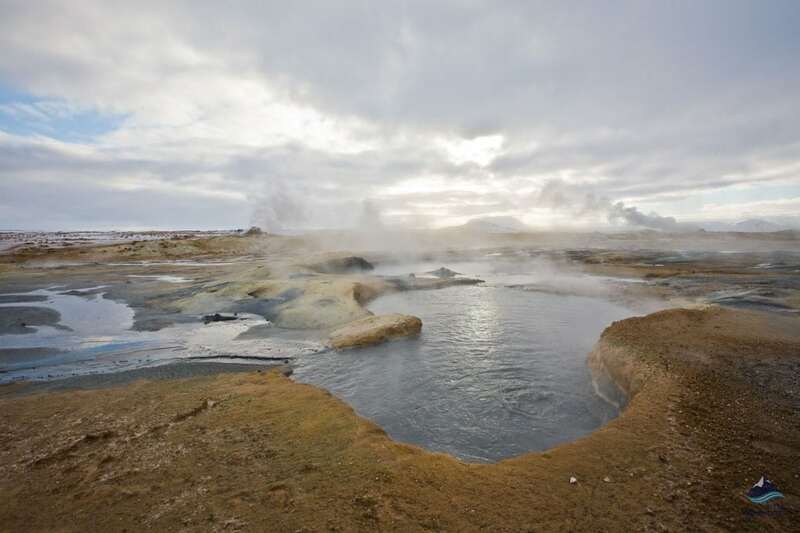 The very active area is part of the Krafla volcano system. Fresh lava doesn’t surface, but the land is alive with bubbling hot springs, mud pots, and screaming fumaroles shooting meters into the air. The landscape is comprised of toxic soil with minerals that coat the site in remarkably bright colors. On our way back to our hotel, we can make a stop at the beautiful Mývatn Nature Baths, often referred to as the Blue Lagoon of the North. 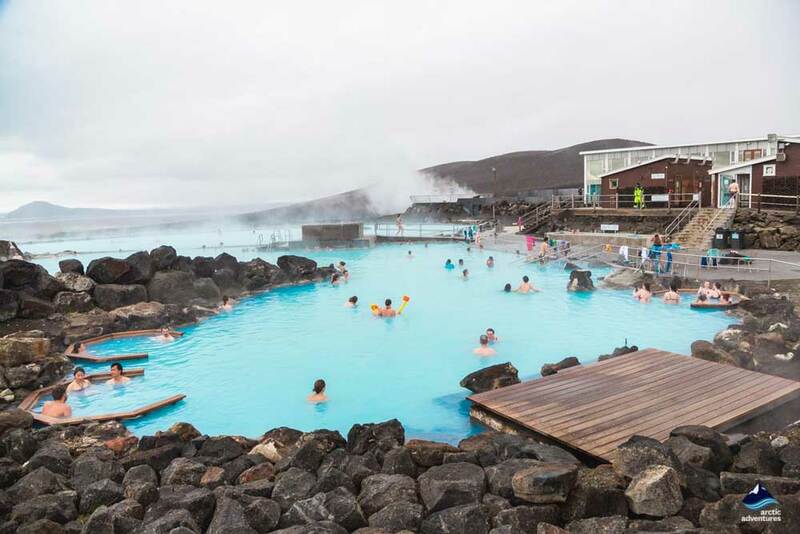 The color of the water is a similar milky-blue, just like the Blue Lagoon, the main difference being the overall cost – half the price! A pampering bath here is an optional extra which you would have to fund at your own cost. To end our long day, we will return to the same hotel in Dalvík village, where we stayed for our first night. 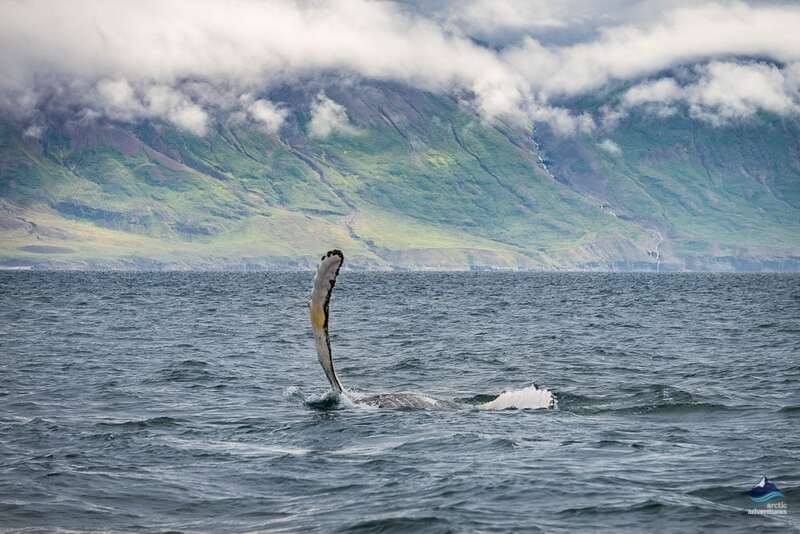 We will begin our last day in the North of Iceland with a boat trip to go on an amazing whale watching tour, to catch glimpses of the gentle giants of the sea! Success rates exceed 99% in summer. 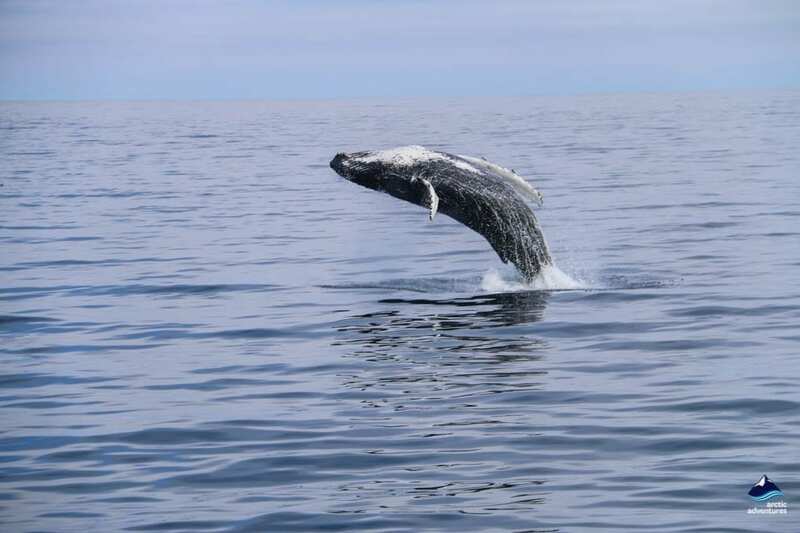 We will most likely see some humpback whales, as they stay around the bay all year round and show off to guests! White-beaked dolphins, harbor purposes, and minke whales are also frequent visitors, seen in the bay. After seeing the big fish of the sea, you will have the chance to try your hand at some sea angling for the much smaller ones, on the way back to the harbor. Depending on what we catch, we will have a barbecue and share the fresh, amazing food together! After lunch, we will head to Reykjavik for the night, but not before stopping off at Glaumbær turf farm on the way. The farm is comprised of 13 age-old turf houses, with walls built of turf, layered in a herringbone design. The original farm is stated to have been built during the Age of the Settlements (900 AD) but the houses you will see are a lot more recent, the oldest one built during in the 18th century. You are welcome to be dropped off at Borgarnes, to connect with other tours if you so wish, or continue on to Reykjavik and then the South Coast. 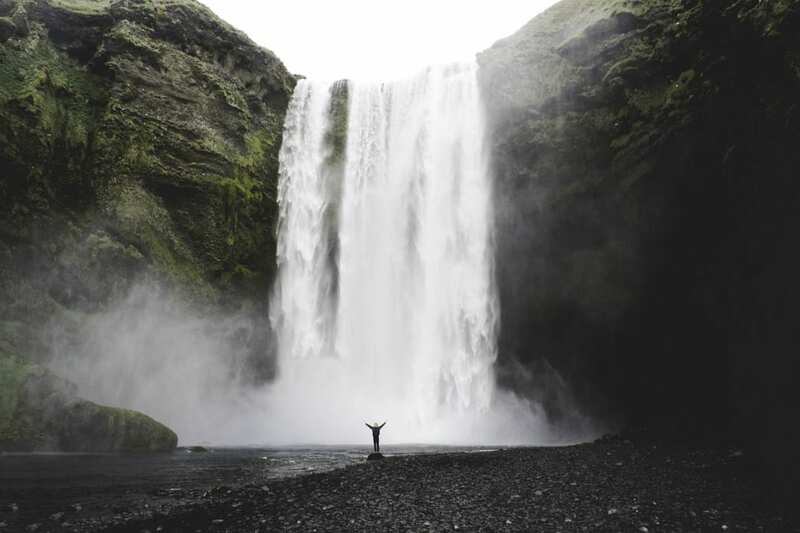 The first stop in the South Coast is the very rare Seljalandsfoss waterfall, which has the added novelty of allowing visitors to actually walk all the way around behind the cascade. 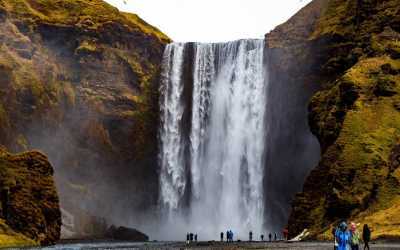 Our next highlight is nearby, and is another waterfall, Hollywood favorite; Skógafoss found at the base of the infamous volcano, Eyjafjallajökull, which erupted spontaneously in 2010. As we continue on this long journey, we come to Reynisfjara black beach, famed for picturesque basalt column formations, and the Reynisdrangar peaks. Jet black sands contrast against the bright white ocean waves. Throughout the day, you can expect to witness magical landscapes of mountain ranges, spacious lava fields, waterfalls, black sands, and glacier tongues. 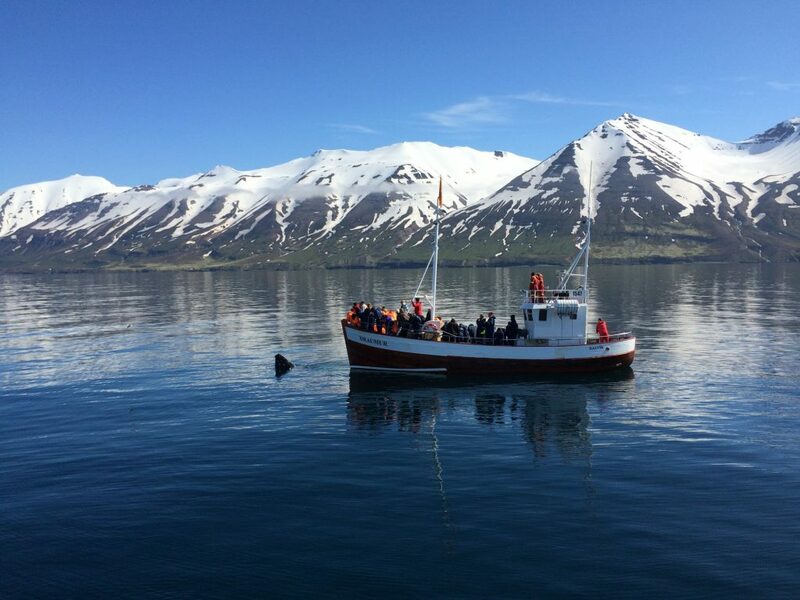 We will drive through the charming small town of Vík on our way to our accommodation, where your hotel will be in the Vatnajökull area. We will enjoy a relaxing evening, if the conditions are right it is the perfect place to hunt for the Northern Lights! Spend your last full day in Iceland in the ice! This day is going to be cold but completely worth it! You will also visit extraordinary favorite, Jökulsárlón glacier lagoon. Getting up an up-close look at the glacial tongue of the great Vatnajökull glacier does not get any better than this! The Ice Lagoon is a totally mind-blowing experience. Huge icebergs of wondrous shapes have detached off the receding Breiðamerkurjökull glacier and jostle one another in the huge lagoon, before meeting the Atlantic ocean. 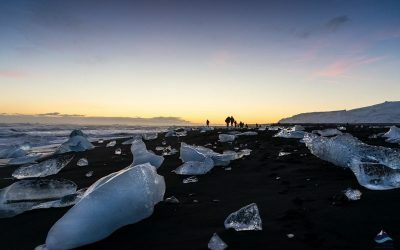 Get an even closer look at the icebergs, when they wash onto the shores of the nearby Diamond Beach, you will see them glittering like diamonds, as they contrast against the dramatic coal darkness of the black sand beach. In the winter season, with the help of a qualified guide, you will explore a glacier by venturing into the glistening, blue world of an ice cave! A once in a lifetime experience as ice caves are different every single year! New caves are formed each winter by the melt and freeze cycle of the glacier, they are everchanging. 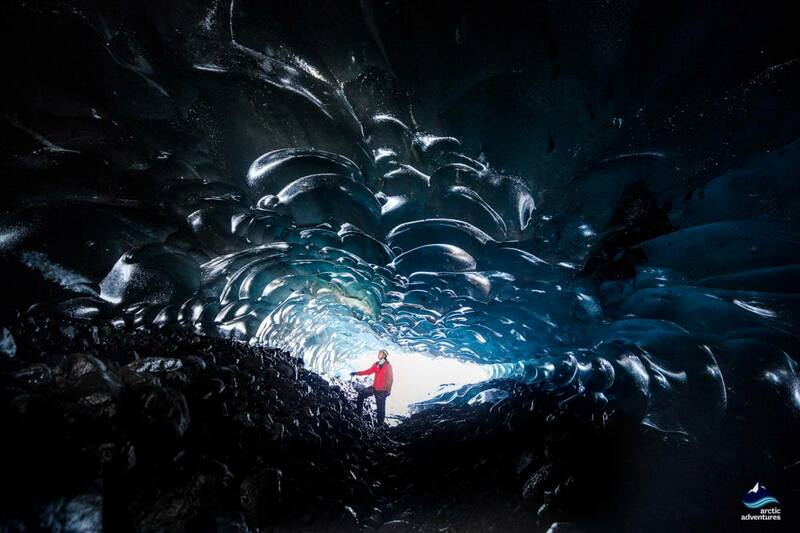 In the summertime, we will drive back to Vik, where you will explore the Katla Ice Cave located at Mýrdalsjökull glacier. 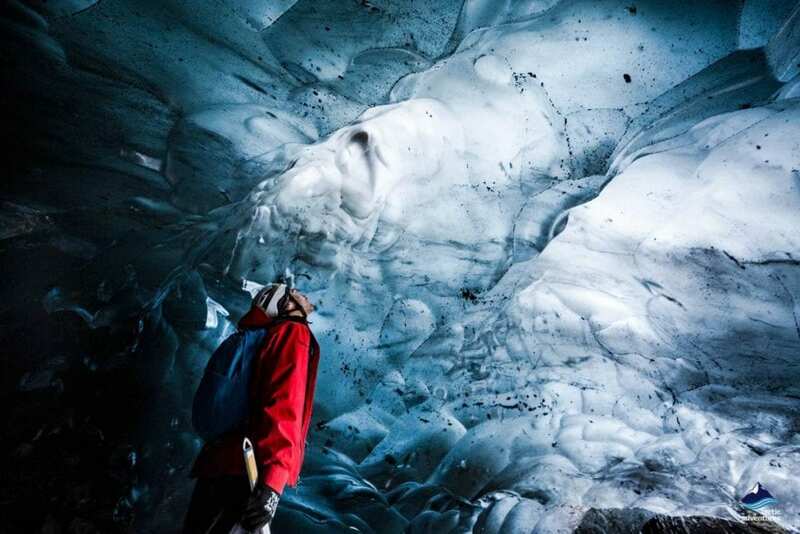 If there’s no ice cave accessible at the time, a glacier hike will be arranged for you. After visiting the ice cave we head home, towards Reykjavík, where we will return for around 19:00, 7 pm. We hope you enjoyed the tour and hope to see you again sometime! Will I definitely see Northern Lights on the tour? The Northern Lights are natural phenomena and we unfortunately cannot promise you will see them. Their appearance depends upon atmospheric and weather conditions. For more information on the Northen Lights, please have a look at our Northern Lights information. What are the best camera settings for photographing the Northern Lights? Unfortunately, there isn’t just one simple answer to this question. There isn’t just one single setting for your camera that ensures great photos. But if you have manual options, you are probably best served with experimenting with various combinations of ISO, aperture, and exposure settings. As a rule of thumb, ISO setting between 800 and 3200, aperture between f/2.8 and f/5.6, and shutter speed at between 15 seconds and 30 seconds have proven effective. A good thing to keep in mind, ISO setting between 800 and 3200, aperture between f/2.8 and f/5.6, and shutter speed between 15 seconds and 30 seconds have given great results. Different combinations may give very different results. Higher ISO setting will allow you to capture faster exposures, but the downside to this might be for example grainier images. If the shutter speed is above 15 seconds it will result in a slight star movement. What if the Northern Lights tour goes ahead and no Northern Lights are seen? A refund is not available if the northern lights tour goes ahead and no northern lights are seen but we do offer you the chance to join a Northern Lights Minibus tour free of charge. Please go to My Adventures to re-book your tour. What are my options if my Northern Lights tour is cancelled? When Northern Lights tours are cancelled it’s usually due to unfavourable weather conditions. 1. Reschedule for another day. 2. Find another tour to do and use the deposit for it. Please go to My Adventures to re-book your tour or contact us by phone +354-562-7000. How do I know if the Northern Lights tour is on for the evening? Like you might have heard, the northern lights are a pretty difficult thing to predict. You can check en.vedur.is to see the forecast and if the level is high and the skies are clear then it’s very likely that the tour is going. We do update our website’s tour departure sheet with the information at 17:00 pm the latest. If the tour is cancelled, you will receive an email from us. If we think there is no chance at all of seeing the lights we will cancel the tour. We don’t want to bring you out and disappoint if there is no chance to see the lights. Will my guide take pictures for me? Yes, the guide will take a photo of you with the northern lights behind you. These can be single or group photo’s and free of charge. What months can you see the northern lights? The Northern Lights season is said to be from late August until mid-April. However, if you want to increase your chances of seeing them, it is best to wait until the clear winter months of mid-September until March. Can you see the Northern Lights in Reykjavik? If luck and weather are on your side, then you will be able to see the Aurora Borealis above the inviting streets of Reykjavik. Whether you see the lights or not are dependant on two different factors. The first being the weather. If the sky is clear, no clouds, then you are halfway there to seeing the astonishing spectacle that is the Northern Lights (although light pollution can sometimes be a problem). Increased solar activity is the second half so, if these two merge together you may well be able to see the Northern Lights from Reykjavik. What are the main advantages of booking a multi-day tour with Arctic Adventures? Our multi-day tours are operated in a minibus which will give you a small group experience and a better connection with the guide. Accommodation is included during your multi-day tour which is often booked far in advance. By booking with us, you don’t have to worry about finding an accommodation during the time of the tour. 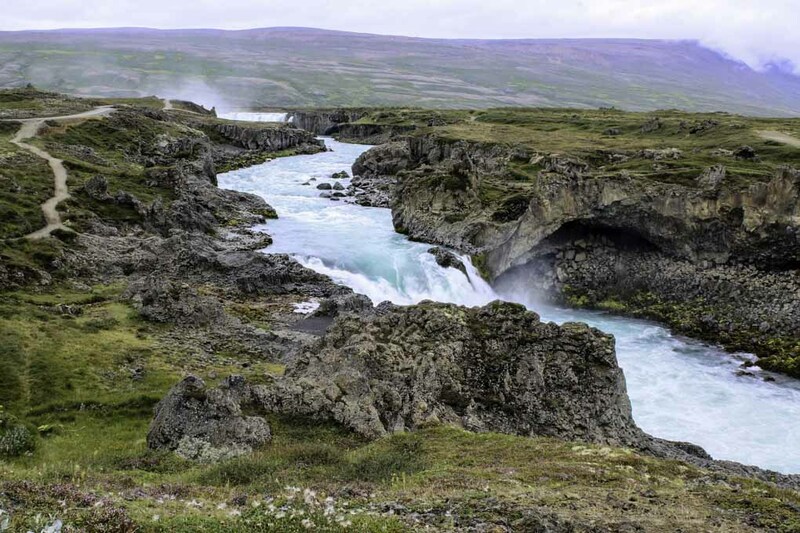 Staying overnight in the countryside gives you the opportunity to explore Iceland further and experience places that you would normally not be able to on a one day tour. Note that Adventure packages do not include accommodation. 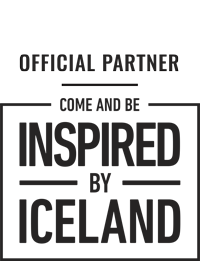 You’ll have an English speaking licensed adventure guide throughout the tour that will be able to tell you about everything you will see along the way and knows where the best locations to stop by are to give you the absolute best experience. What kind of rooms can be expected when booking the multi-day tour with Arctic Adventures? When booking with Arctic Adventures, you are guaranteed an accommodation at a nice country hotel and/or a guesthouse. The hotels we have partnered up with are all of the same standard and offer nice rooms with made-up beds. The rooms come with private or shared bathrooms, depending on your booking. The standard room is a twin room but it’s possible to request a double room or a triple room, with no extra charge. If you are traveling solo, you will have to add the single room fee if you wish to have a single room. All hotels have free Wi-Fi. Towels, a hairdryer and a kettle are accessible at all of the hotels. Hotel breakfast is included! I'm a solo traveller, is there a single supplement? A single supplement is available if you want to have your own room, but you are not required to pay a single supplement. If you are a single traveler and do not wish to book a single room, you’ll be roomed with another traveler of the same gender. Are meals included in the tour? If your tour includes an accommodation, breakfast is included during the tour at the hotel/guesthouse restaurant. Meals and beverages are otherwise not included on your tour. However, we will be making stops at restaurants and convenience stores where you will be able to purchase all necessities. You should count on spending around 8,000 ISK (80$) on food each day per person. Cash is not necessary, as credit cards are almost always accepted. Having a small amount of cash doesn’t hurt though. Which type of meal options are available for me on the tour? Breakfast is included at all the hotels we stay in during the tour. The breakfast will be a typical breakfast buffet, offering bread, toppings, cereal, yogurt, fruits, coffee, and tea etc. Your guide will also find a good place for the group to eat lunch. We always try to choose places that have a wide selection of dishes on the menu, so there will be options available for everyone. The dinner is usually at the hotels we stay at for the night. What is my luggage allowance on a multi-day tour? For multi-day tours, each participant is allowed to bring a small backpack and 1 piece of luggage weighing a maximum of 20 kg (44 lbs). * The combined dimensions of each bag must not exceed 158 cm (62 in). 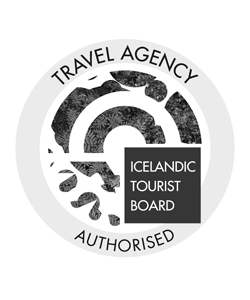 * It’s possible to store your luggage with us in Reykjavík while you are on your tour, for a small fee. We highly recommend storing the luggage in Reykjavík to help us reduce our carbon footprint. * Please note that luggage storage is not refundable. Does this tour suit me? We do welcome participants of all ages older than the listed minimum age for each tour. We have people of ages ranging from 8-99 years joining our multi-day tours. Our average group usually consists of participants between the age 20-55 years. We do get a lot of solo travellers joining our tours, as well as families and friends. If you have difficulties participating in any of the activities included in the tour, for example, a glacier activity, you are more than welcome to skip it. You can explore your surroundings in the meantime or wait elsewhere. Our guide should be able to drop you off at a nearby place where there are some services available. What will the average driving per day be? We drive on average around 300 km (186 miles) per day on our multi-day tours. You will be spending approximately 4-5 hours in the car each day. We do of course stop on multiple locations throughout the tour for sightseeing, activities, bathroom breaks and lunch stops. I'm not sure I have all suitable gear, do you offer any for rent? If you are not sure that you have suitable gear for your tour, we offer some necessary items for rent. For most of our multi-day tours, we rent out waterproof jackets and pants as well as hiking boots. You can book these items and more under the selection “Extras” in the booking widget when booking your tour on our website. If you have already booked the tour and wish to add some rental gear to your booking, you can do so at least 24 hours prior to your tour starts. Is it guaranteed that we will see the Northern Lights during the tour? 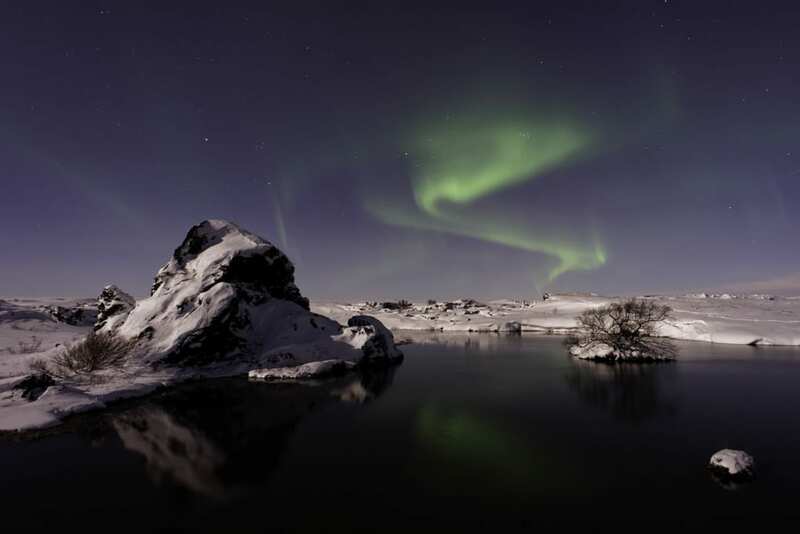 Most of the hotels we use during our tours are remotely located and therefore ideal to spot the northern lights. If the forecast is in your favor, then it is more than likely that you will be able to see the magical show put on by the dancing northern lights during your tour with us. Most of the hotels offer a Northern Lights wake up call up on request if they lights are spotted. The Northern Lights are a natural phenomenon and therefore we can unfortunately never promise that they will be seen. Their appearance depends upon atmospheric and weather conditions. The best time to see them is between September and March when it’s dark and clear. The sky needs to be as dark as possible, so the best places to see them are well away from city lights (that’s where we are going!). For more information on the Northern Lights, please have a look at our Northern Lights information. 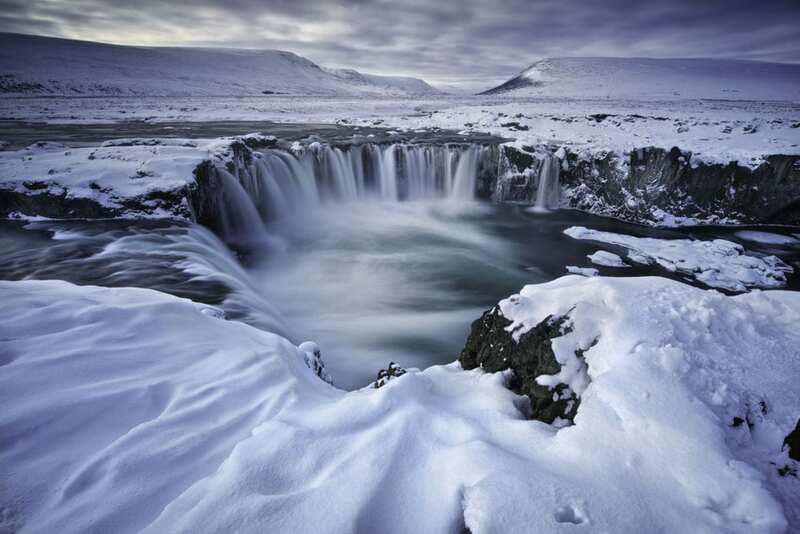 If we arrive in Iceland on the same date as we booked our tour, could we miss out on it? We always recommend booking a multi-day tour starting at least one day after arriving in Iceland. If you’re flying in from the US or will be landing early (4-6:30 am) you should be able to join the tour, but some risks would follow (i.e if the flight gets delayed) and could, therefore, miss out on the tour. This breathtaking journey will set you up for an adventure through Iceland, making it the perfect way to explore some of Iceland' best locations directly from Reykjavik. Explore local villages, climb mountains and take a trip to the famous black sand and diamond beaches.